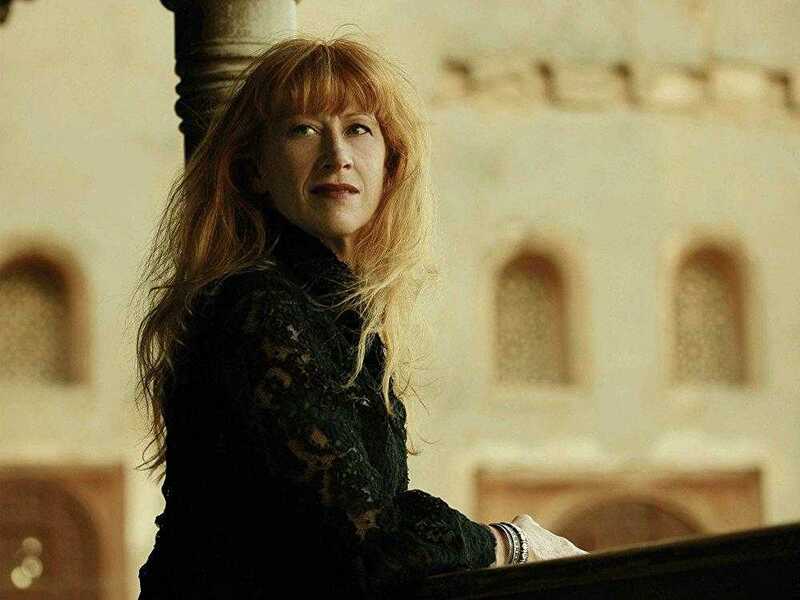 There are very few artists that channel images and feelings from their unique experiences in their music like Loreena McKennitt does. Her music is based on Celtic music idioms and history but through her career she has gone far beyond that. 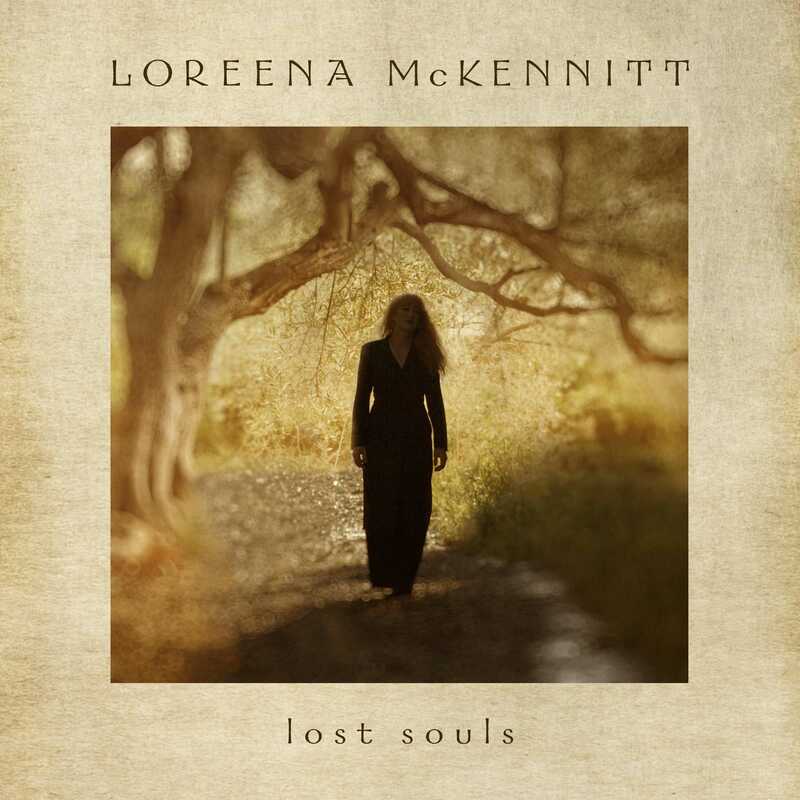 Having sold 14 million records and toured all around the world, she is returning with her new record 'Lost Souls', a versatile collection of songs which are connected with different periods of her life. We had a very interesting conversation with her, where we discussed a variety of subjects, from her recent visit in India, Greek traditional music, to the effects of the industrial revolution. 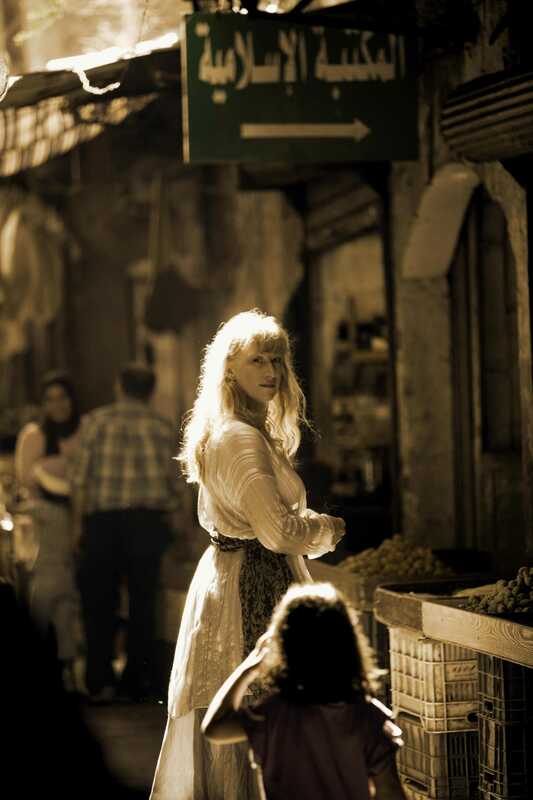 Hello Loreena. Greetings from Greece! How's the weather in Startford? Greetings! It's sunny today that much I can tell you. It's still not as warm as it should be this time of the year. But we will live; we are Canadians [laughs]. Well you should come and visit us in Greece! Its 30 degrees here. Oh stop it! [laughs] Oh I wish I was there! I have to say I was really impressed from the new record, 'Lost Souls'. Your writing has gone from Celtic to a blend of many cultures. The new record incorporates a few flamenco players as well in "Spanish Guitars and Night Plazas". This is all based on your travelling experiences. Were there any particular experiences that shaped the new record? We were touring a lot lately and I also cared for my mother in the last two years of her life between 2009 and 2011. Since I also manage my career it was really hard to get the next chapter of the Celts which was going to be based on my trip to India. So I decided with my colleagues to work on some songs that I either wrote or played years ago. I really liked them but just didn't fit on the various recordings that I was working on. ‘Lost Souls‘ is an eclectic collection of songs that is not hinged on the history of the Celts. Is it like going back to your creative roots? Because some of the songs were written a while ago. It is interesting when you go back and you think ‘Well, what was I thinking?’ or ‘How was i thinking?’. For example when I think of "Spanish Guitars And Night Plazas", that was the result of a trip that I made to Spain in 1981 - long before I even had my first recording. I wrote that piece around 1991 during the period of 'The Visit' but felt it didn't belong in that record. Similarly with a "Hundred Wishes", it was written during that time but again I didn't feel that it belonged. Then "Ages Past, Ages Hence", I wrote slightly before that. I am a big fan of Kate Bush and I thought that it would be interesting to create a piece that was more angular. And also there’s "The Ballad Of The Foxhunter". Yes I've heard "The Ballad Of The Foxhunter" online, in an unofficial live recording. Great instrumentation on that one! I had the privilege of seeing you live in Florence last Year with your 'Trio tour'. It had different dynamics than your full show performance. These different, somewhat simpler instrumentations, did they have any effect on your approach during the recording process? Well No. I mean with "Spanish Guitars and Night Plazas" I wanted to involve flamenco guitars to give it a bit more flavor. In "Sun, Moon and Stars" I invited wonderful Greek musicians Panos and Socrates to give it that real authentic kind of feeling. Playing with the trio is great live, it allows you more space. And sometimes more emotion, with just the three of you on stage. You have to cover each other. Yes, yes. But when it comes to making the recordings I like to layer in the very distinctive voices of instruments. Even like the 'Breaking of the Sword' where I used a military band. That was a great song as well. So you mentioned the Greek musicians who are playing in your new record Sokratis Sinopoulos (Lyra) and Panos Dimitrakopoulos (Canonaki). You've also collaborated with a lot of other Greek musicians over the years, from Haris Alexiou to many other organ players. What are your influences from Greek Music and what connections do you think there are between traditional Greek music and Celtic music? On a musical platform I don't know that there's that much. What led me to Greece was the path of the history of the Celts. There were some Celts that have passed through Greece - one bunch tried to sack Delphi around 275 BC. So that gave me the license to really be infatuated with the music. The flavor of Greek music that I brought into my world has been an ode to the connection of the Celts being there. There’s the musical expression of course. I love Greek Music there's such a range of it too. I also needed to be somewhat careful that I don't go so far beyond what I do well and what I can play well is somewhat limited. But it's been great to be able to have the resources to bring in other fantastic musicians - if that's the Bouzouki, the Hurdy Curdy or the Pipe. In your latest tours you had a segment in your show where spectators could ask you questions. That was quite a bold move! It can be very interesting for the fans, but I can also be quite tiresome for you. How did it feel to have that different connection with the audience? We only did it for a short period of time. I was exploring different kinds of formats of an experience for people. Particularly when there were only three of us on stage, this could allow a different kind of experience. It was great and I enjoyed it. I enjoy meeting people, hearing what they have to say and fielding their questions. It's a bit like a chat with friends. Are there any plans to present the new record live? Any special shows maybe? Not at this moment. We were worried that perhaps there were too many live recordings in the mix and particularly until there was new material. Now that there's new material I think that becomes a bit more of a possibility. There's no question there is something, a very different kind of energy, in a live recording. When you’re in this space together, everybody’s feeling this sense - it’s only once and then it will never be like that again. Whereas with the studio recording where you're layering things and you're there fixing, it’s a very different psychology. Your music has been called ‘musical travel writing’ by a lot of people. Out of all the places that you've visited lately which one made the greatest impact on you and you could recommend? India made a huge impact on me. I really hope that I can perhaps go back and build that recording about the Celts. There were so many fascinating historical and cultural things that came out of that trip. I think that would probably be the one that would sit out for me. You're actually managing your own career. You are touring the world, running Quinlan Road as well as the water safety charity that you have launched a few years ago. How do you balance yourself, how to you immerse yourself in the creative process in between? It’s really impressive! I've worked out to it over the years of wearing different hats and switching off frankly. When we're on tour for example, I'm doing a lot of management orientated things in the day, on the tour bus or when we get to a venue. This goes on even after the sound check. Half an hour before the show is where I put all of that mindset to bed. I put it off to the side - it's like going to different rooms in your mind. Like a house of many rooms. Now with the Facebook scandal a lot of talks have been going on concerning privacy issues. You just announced that you will no longer be a member of Facebook due to all this. You have been further involved with the subject, having won a privacy case in the UK a few years ago. Do you think that social platforms have opened the door which will lead to the end of private life or maybe restrict it as we know it? I think that we're in an incredible period of flocks right now. It's almost impossible for anybody to tell where this will all end up. The world has experienced a lot of the upside of technology, including social media. Now that we lived with it more or less for 20 years - depending on which aspect of technology one is talking about - we are starting to experience the more difficult and detrimental side. Over the past five years I've spent a lot more time studying the unintended and detrimental aspect with respect to child development and human development. I never had my own personal account with Facebook or any social media. I have a flip phone, I don't even have a smartphone or something like that. That's the best way to do it; I have to agree with you! Yes [laughs]. When I moved to Stratford, Ontario in 1981 I did not bring my television with me. For nineteen years I didn't even have a television. However I read a lot of newspapers and of course now with the computers I receive news publications from the likes of the New York Times or the BBC. Thus I don't feel I'm out of touch. Instead I feel I've always been more in control of the technology rather than slipping into a mode where, in a sense, it's more in control of me. So I think that now that we've tasted the darker side, people are comprehending this and there's a great urgency. A lot of political persuasion is needed to wrestle this. To actually get these technology companies to a point where they're more accountable, more in line. It’s not all about technological progress; it's also about the moral and ethical progress. I agree with you completely. The title track "Lost Souls" can be connected with this and with our technology-fused lifestyle. The way we listen and digest music has changed radically for one. Do you think the qualities of everyday life are diminishing? Or that one can argue that this can be described as change? That was very smooth! [laughs] I am not a trained anthropologist but I do have a great deal of respect for anthropologists. Most creatures don't like change, that is true. We also know that many creatures have evolved over hundreds, if not thousands of years. If change occurs in small amounts at a very slow pace, maybe it can be good. What we are experiencing now is not just a little bit of change over a long period of time but rather a massive amount of change in a very short period of time. And it’s been accelerated through the technology. There is no longer time to reflect, think, process, digest or strategize. People are just are running from one second to the next. In an operational sense, so many of the business models have been broken. There is not many approved business models to go into and this is also causing a lot of anxiety. Therefore I don't think it's just change. It's a scale and speed of change. Moreover, like Ronald Wright suggests, we as a species - it’s almost like an immature quality about us that we get ourselves into progress traps. In his book ('A Short History of Progress') he suggests that at the beginning, around the time of the industrial revolution, we left being concerned about moral and ethical progress but rather became quite fixated on technical progress. And we are paying the price for that. We are living in a continuum particularly accelerated and perhaps an unnatural continuum, that started around the time of the industrial revolution. Loreena thank you for your time. I have just one more question. Are you planning any live shows? We are hoping to go out and tour Northern Europe in March and hopefully come to the Mediterranean area in the summer of next year. I'm the bottleneck since I'm managing and it's impossible - we won't even start trying on this until the fall. We're such a small team now, doing everything and we can only have one project at the board. We're finishing releasing the recording and then start to build the tour. So thank you so much, it’s been such a pleasure to talk to you! I wish you the best in your record and I hope we see you really soon in Greece. Thank you! 'Eyharisto'! Have a great day. 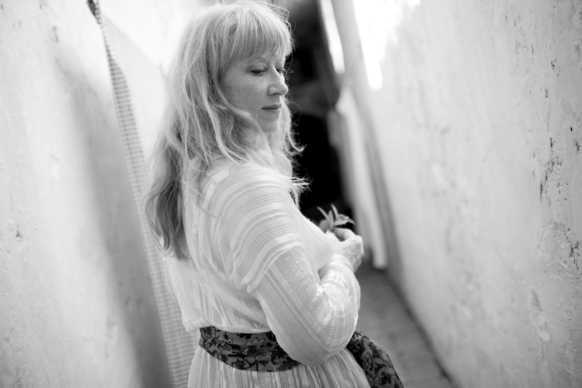 Loreena McKennitt's forthcoming album, 'Lost Souls' is released on May 11 from her own label Quinlan Road.